Norway is the only place in the world where you can safely snorkel with orcas following the herring migration. This boat-based trip is ideally suited for wildlife enthusiasts willing to put up with a bit of hardship for spectacular one-off wildlife encounters. 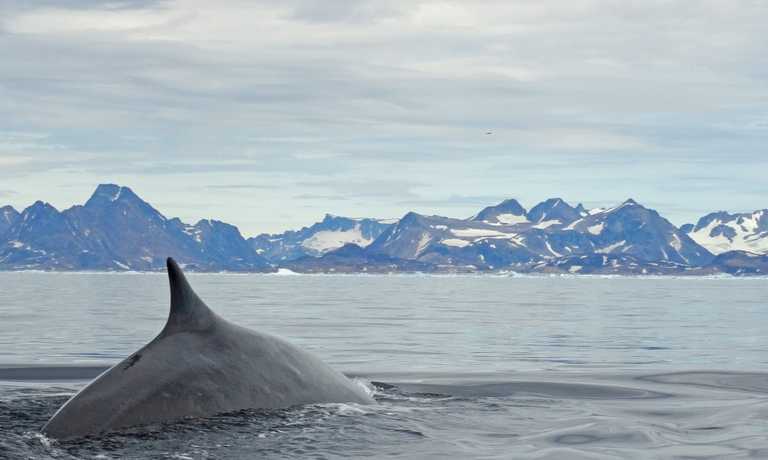 Orca, humpback, fin, sei and sperm whales are all regularly sighted, plus you have the added excitement of seeing the spectacular Northern Lights. Arrival at Tromso airport and transfer to the harbor to board your vessel in the afternoon. 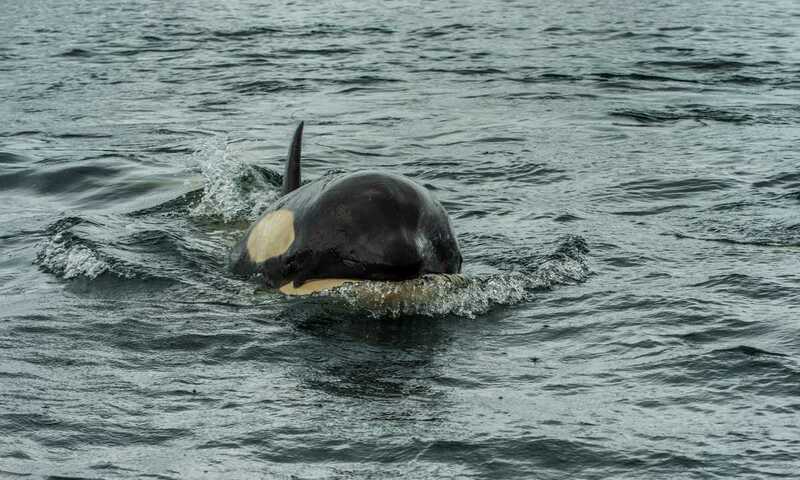 For five full days we follow the schools of herring and pods of orcas and humpbacks in the protected surroundings of the beautiful Norwegian fjords. 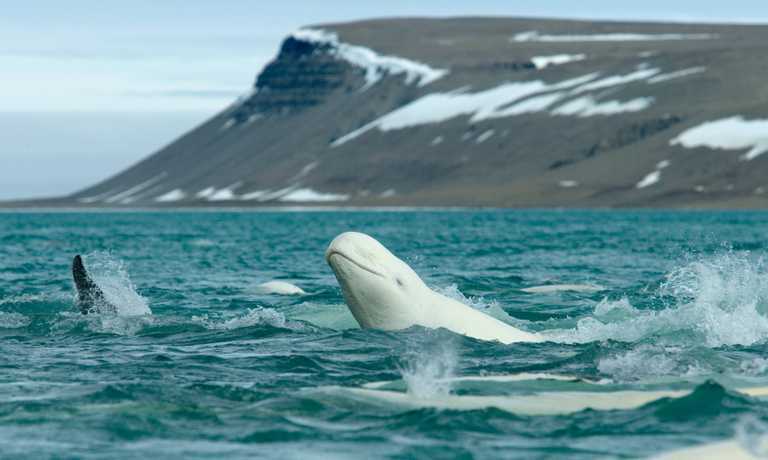 Two expert guides will accompany you on your whale watching adventures. Be prepared for cold but rewarding days out at sea with spectacular sightings of a unique display of mother nature. The combination of this natural phenomena, the beautiful ever changing scenery of the Norwegian fjords and the amazing Northern Lights, makes this trip an exclusive experience of nature. Have your cameras charged and whenever possible be ready to slip into the cold water for a Polar snorkel adventure. For snorkellers we provide a (waterproof D9) snorkel, dry suit and snorkel equipment. If you choose not to snorkel, you can enjoy the phenomena from the spacious deck on board your ship or join the Zodiac excursions for up-close whale watching and excellent photography opportunities! During the darker hours you will enjoy the warm and cosy comfort of the expedition yacht while our expert guides entertain you with presentations and educational information on wildlife and cinematography and films. Excellent food is served with a fine selection of wines and beers. You will disembark in the morning, after breakfast and say farewell to your crew. Please note: We are always ready to alter plans accordingly to take advantage of light, weather, wildlife sightings and other one-of-a-kind opportunities which can vary unpredictably from day to day. We cannot guarantee that all activities and shore landings will take place or that they will include all the events we’ve outlined in advance. Embracing the unexpected is part of the legacy—and excitement—of expedition-style travel, and a measure of flexibility is something all of us must bring along on the voyage. The 19-Nov-2019 departure is a special Dutch voyage with photographer Karin Brussard on board for the duration of the trip.